Where do you start when it comes to finding the right care options and programs for you or your loved ones? With the Elder Care Navigation Program, your care manager is an advocate and partner for your family. They are trained and experienced in helping people navigate the complex landscape of health care services and resources, answer questions about Medicare and Medicaid, help find the right in-home care or technology to help you or a loved one, or perhaps find the right assisted living situation for someone based on their individual needs. 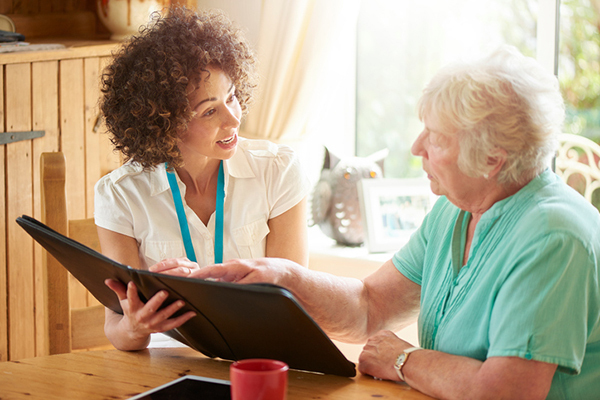 Elder Care Navigation can help save time and money by helping eliminate costly ER visits or hospitalizations, helping with communication among family, following up on health appointments or medication management, or even helping to find vetted legal or other resources for your family’s unique situation. For more information on the Elder Care Navigation Program, call Julianne at 262.345.5568.